Having not invested in a printer I find myself at my brothers, printing out multiple versions of the garlic plaque. One I print in the wrong orientation, one I print the wrong size and one I forget to reverse the image. Feeling guilty for wasting his ink, I finally get the image correct for transfer. With only one shiny sheet in my possession, I am well aware I have only one shot at this! It prints out.... The correct size, the image is reversed! I wipe a bead of sweat from my brow. Cutting it to a more manageable size, hands shaking, I place the image to the wooden plaque. My whole body weight pushing down, I pray to batman the image transfers! Shall I keep pressing? Am I jus stalling? I peel the paper away from the wood, and to all my fears, the image has not transferred properly! Im gutted, more for my client who is waiting to receive this. I won't have access to a printer or that paper for another week! Luckily I have tickets to see Lee Mack live in London this week! Traveling around London, mostly using the underground, which later makes me ill, we come across an Apple Store. My phone hasn't been charging recently and I thought it was done for, but my fiancé suggests we take it in and let them take a look at it anyway. Waiting in line for a good 20 minutes, we reach the front, and the "Apple Genius" takes my phone, takes out a pin from his lanyard, and goes to town on my phones most intimate area! I fear for my phones well being, but what comes out can only be described as the worlds biggest ball of belly button fluff! 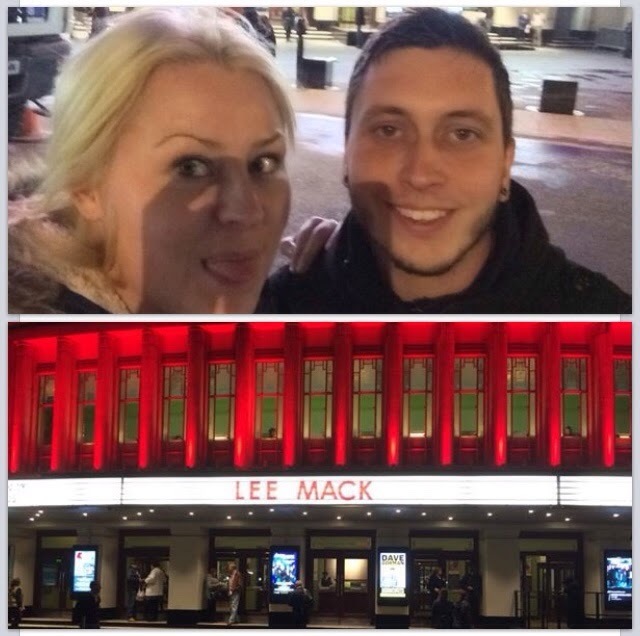 Phone now feeling violated, but in full working order, we go see Lee Mack, who doesn't disappoint! The next day I'm feeling really run down. 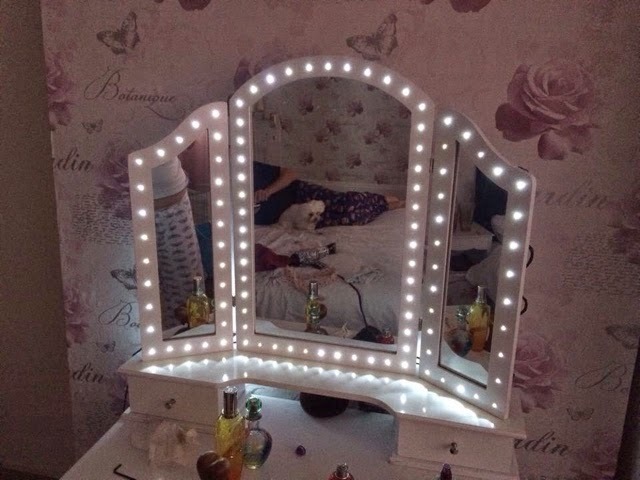 The dirty, hot undergrounds mixed with the freezing rain above ground has taken its toll, so I take a day off to rest, only to be forced to mark out and drill approximately 90 holes in my fiancés mirror! I wasn't happy but it turned out nice! Following from that success I've also managed to, finally, thread a wire through into the house to give me power down in the workshop, rather than having an extension lead trailing through an open window in the middle of October. I've also hooked up better lighting for the coming dark winter days, and have pretty much finished all the pieces to be sold at "That's Nice Furniture" in Canterbury. 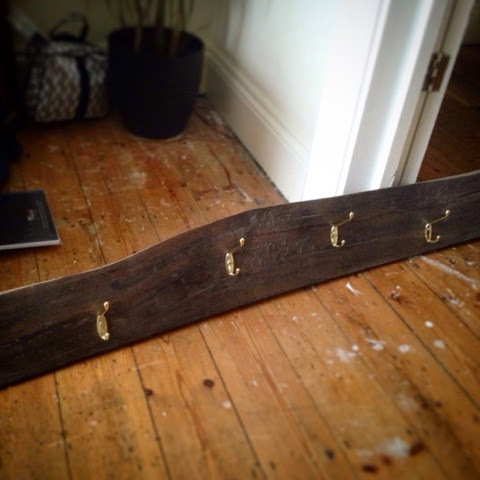 I decided to keep the coat rack simple for numerous reasons, budget/profit obviously, but also the amount of cracks and unsymmetrical nature of the piece, it felt like I was forcing any sort of design onto it, so I left it natural looking. 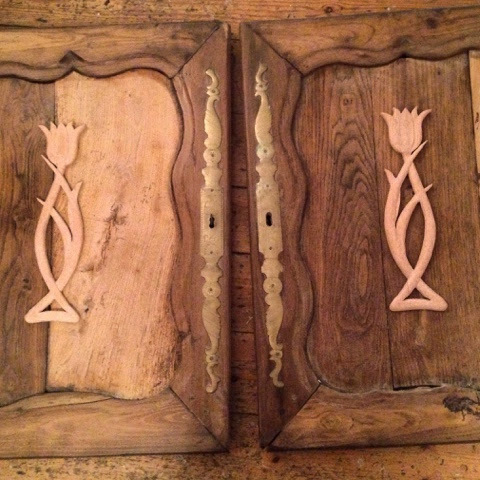 Finally the tulips have been carved and just need gluing down to the door fronts! My next projects will be a simple shelf with lettering on. 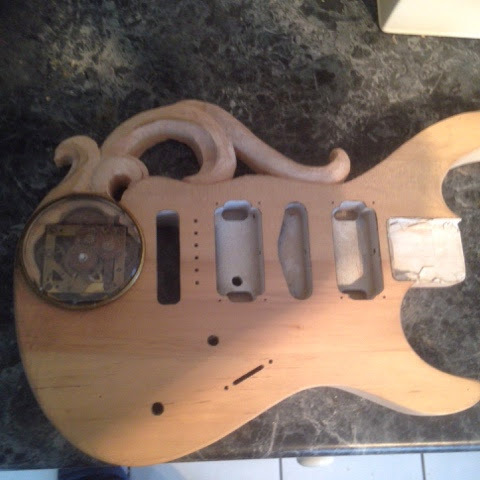 I'll be revisiting the steampunk guitar. 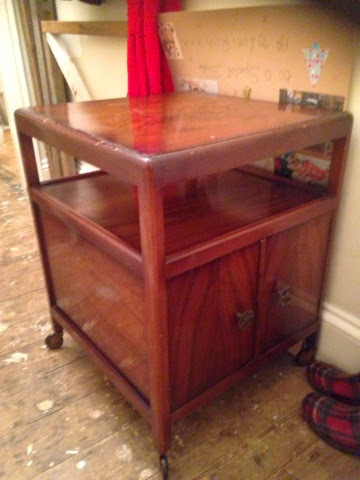 And I will be re-modelling this old cabinet into some sort of makeup cabinet which you will be able to buy through me.